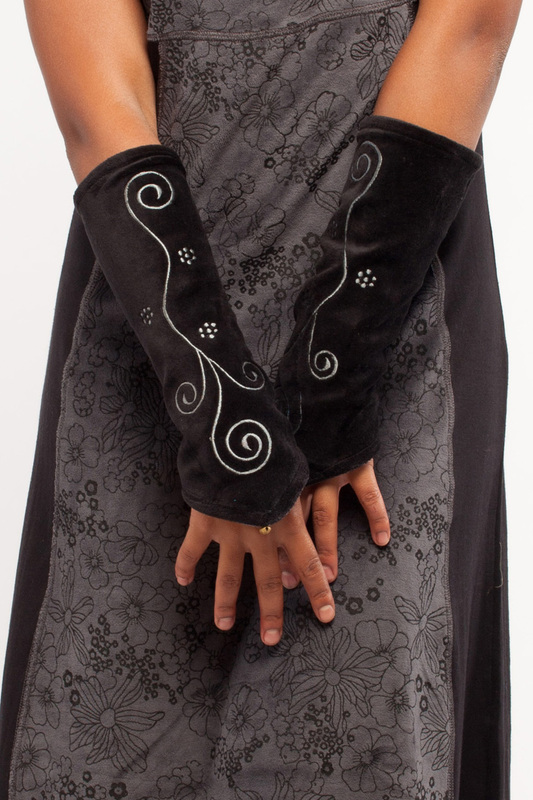 These lovely little cozies have a beautiful arabesque detail and a bell charm on the hand. 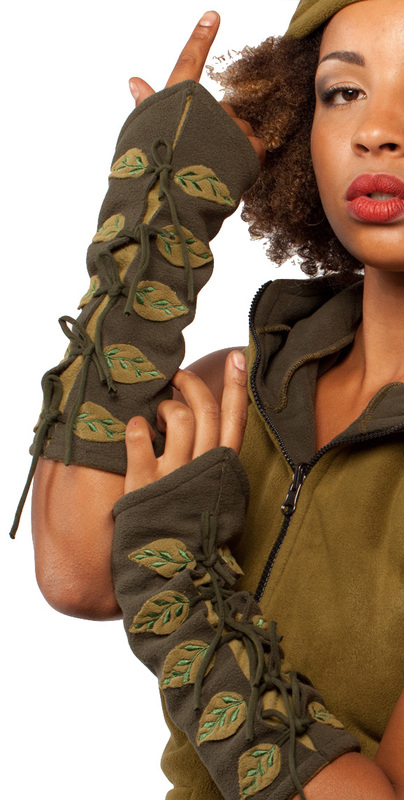 They are reversible but on the inside there is no embroidery. Made of Super soft velvet. – See more at: https://www.gekkobohotique.com/velvet-wrist-warmers-with-arabesque#sthash.PlQcH9e9.dpufStretch arm warmers. 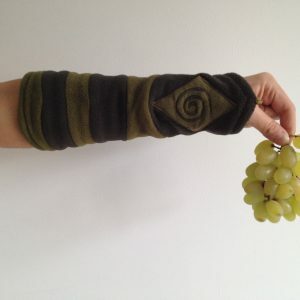 Product Code: Stretch arm warmers. 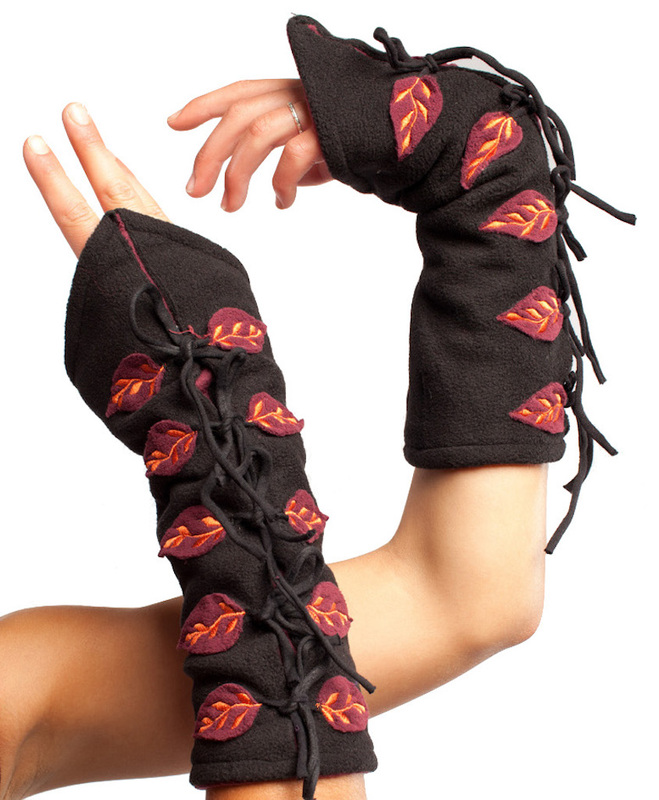 Warm and colourful arm warmers with contrast colour leaves and ties along the length.